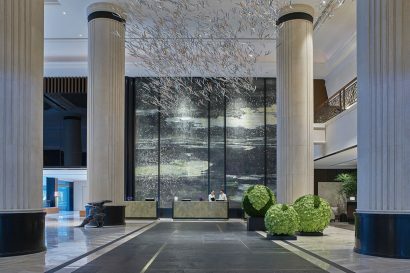 Bipan Kapur, General Manager of Shangri-La Hotel, Singapore helms the group’s first Shangri-La hotel comprising 792 guestrooms and suites in three distinctive wings. Mr. Kapur is a seasoned hospitality professional with more than three decades of hospitality management experience across an extensive portfolio of hotel brands in Asia; most recently at the Westin Resort Nusa Dua Bali and the Bali International Convention Centre (BICC), where he was Managing Director since 2008. During his extensive career, Mr. Kapur garnered multiple accolades for implementing value-added strategies to achieve each hotel’s performance. 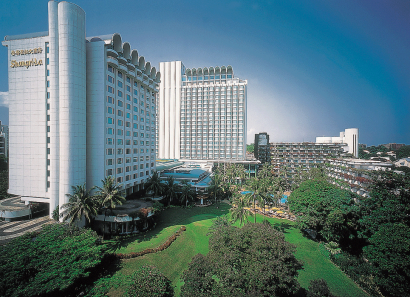 He commenced his illustrious hospitality career in 1982 with the Oberoi Group, followed by a stint at The Sheraton Mirage in the Gold Coast, and as general manager of multiple hotels in diverse locations throughout Australia, Brunei, China, India, Indonesia, Malaysia and the Middle East, under the Sheraton and Westin brands. 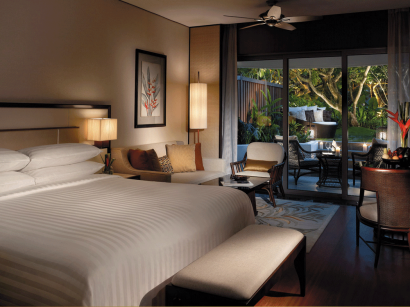 Enhanced facilities for business and leisure traveller offering expanded options for family travellers with a dedicated family floor targeting, Gen X and Gen Y, mid to high-end consumers interested in luxury travels, luxury brands and overseas vacation. Nestled amidst 15 acres of lush greenery near the vibrant Orchard Road shopping belt, the Shangri-La Hotel, Singapore offers a tranquil urban retreat for business and leisure travellers. Renowned for its exceptional hospitality, the hotel is consistently voted amongst the best in the world. The hotel features 792 luxurious guestrooms and suites across three distinct wings as well as 182 spacious serviced apartments and residences. The hotel offers one of the widest selections of culinary experiences and most comprehensive family-friendly facilities amongst local hotels. Leisure and recreational facilities include CHI, The Spa, interactive play space, Buds by Shangri-La and a swimming pool. May 2017 – Renovated and relaunched the Tower Wing, introducing a floor dedicated to family travellers, with 5 themed-family suites and 19 Deluxe Family Rooms. The rejuvenated tower houses Buds by Shangri-La, an interactive indoor and outdoor play area, Origin Grill & Bar, The Line, Nami, Shang Palace and the Horizon Club. There is something for everyone, be it an energising swim, a pampering spa treatment or a fun-filled play space for children and family-friendly services. The hotel offers value-added services for family travellers such as family concierge, family pantry and interactive play area. Especially suited for business traveller the access to Horizon Club includes daily breakfast, afternoon tea and alcoholic drinks in the evening, prioritized check-in and check-out, one suit pressing and shoeshine services. Situated in a strategic location, away from traffic and offers a tranquil urban retreat, the hotel is just walking distance from the prime shopping district of Orchard Road, 5 minutes driving to Botanic Garden and 10 minutes to Marina area. Local cuisine: one of the most affordable Michelin-starred eateries in the world can be found right in hawker centres. Local cultures: Little India, Chinatown, Katong, Kampong Glam and GeylangSerai, Clarke Quay, Haji Lane, Buddha Tooth Relic Temple and Museum, NUS Baba House, Peranakan Museum. Landmarks and nature:Esplanade,Sentosa, Universal Studio Singapore, Orchard Road,Red Dot Design Museums, Gillman Barracks, National Gallery Singapore, Singapore Flyer, ArtScience Museum, Asian Civilisation Museum, Singapore Botanic Gardens,Pulau Ubin, Gardens by The Bay, Zoo, River Zoo , Jurong Bird Park, Night Safari, East Coast Beach, Mount Faber, nature reserves and nature parks. 1 Pillar-less Ballrooms with a high ceiling capable of holding up to 1,700 guests. 24 meeting rooms with flexible meeting spaces and high ceiling pillar-less. 14 convertible suites-to-meeting space on level 10. 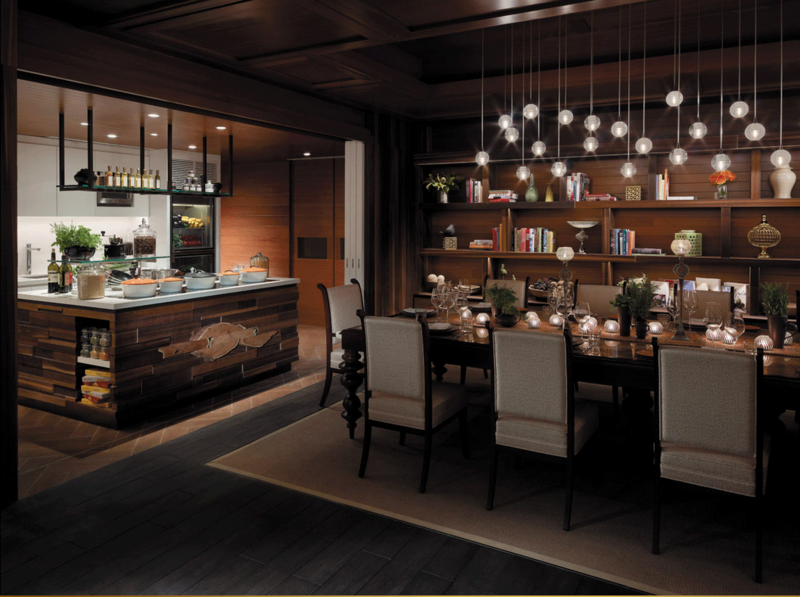 Family floor with a dedicated central pantry, family concierge, 5 themed suites and 19 deluxe family rooms. 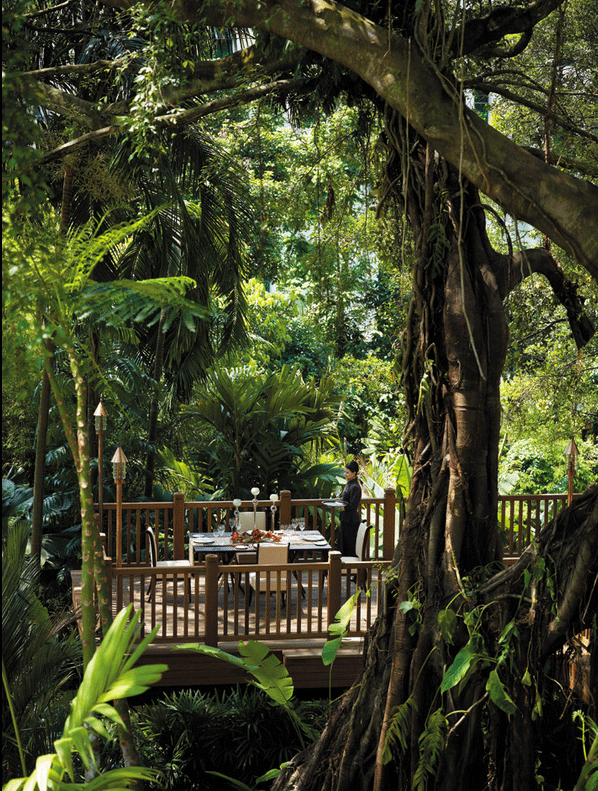 15 acres of lush greenery and beautifully landscaped ground in Shangri-La Hotel, Singapore. Contemporary furniture on the lobby and mezzanine floors are sourced from sustainable materials. There are 5 key elements in the design of the lobby – Wind, Water, Wood, Trees, Stone. Discover a world of imagination and exploration with Shangri-La Hotel, Singapore’s new family accommodations, facilities and offerings that encourage fun, peace of mind, family time and learning through play. 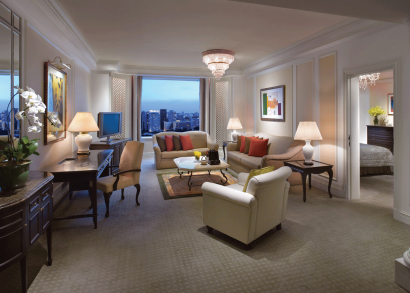 The 9th floor of the hotel’s rejuvenated Tower Wing is dedicated to family travellers. Five Themed Family Suites offers an immersive space for children to sleep and dine, with unique whimsical interiors and dream-themed beds. Nineteen Deluxe Family Rooms ideal for families and guests travelling with young children are also available on the same floor. An interactive indoor and outdoor play space spanning 2,150 square metres in total, Buds by Shangri-La is located on level 1 of the Tower Wing and features specially curated installations to take younger guests on a journey of discovery through four key narratives: embracing nature, adventure, camaraderie and independence. Shangri-La Hotel, Singapore is the first hotel on Orchard Road to design and build an interactive play space for children, catering to both hotel guests and non-hotel guests. Spanning over 2,150 square metres in total – 850 square metres indoors and another 1,300 square metres outside – the immersive and curated play space allows children to learn through play in a creative, self-directed and experiential environment, all while bonding with their parents. Kids can play to their hearts content in the indoor interactive play space consisting of an Explorer Zone, filled with sand pits, nets, slides, ball pits and mazes; and soft-play Toddler Zone with swings and slides, an interactive piano floor, a ball pit and vintage kiddie rides which are suitable for children aged 4 years and below. LEARN – Fun learning through Themed activities. Take part in a series of fun activities designed to encourage learning through play. Unlock your child’s inner star power and showcase their hidden talents at Stage, a music studio equipped with a grand piano, a karaoke system and interactive drum sets. Paint the town red at Muddy, a creative art space for budding artists who like to make a splash. At Muddy, every wall is a canvas waiting for your child’s masterpiece. Ignite the joys of baking and cooking in your Kids at Bake, a fully equipped cooking classroom for children. Bond with them with our seasonal parent-child cook out sessions! • NAMI features the art of Japanese fine-dining with a panoramic view. 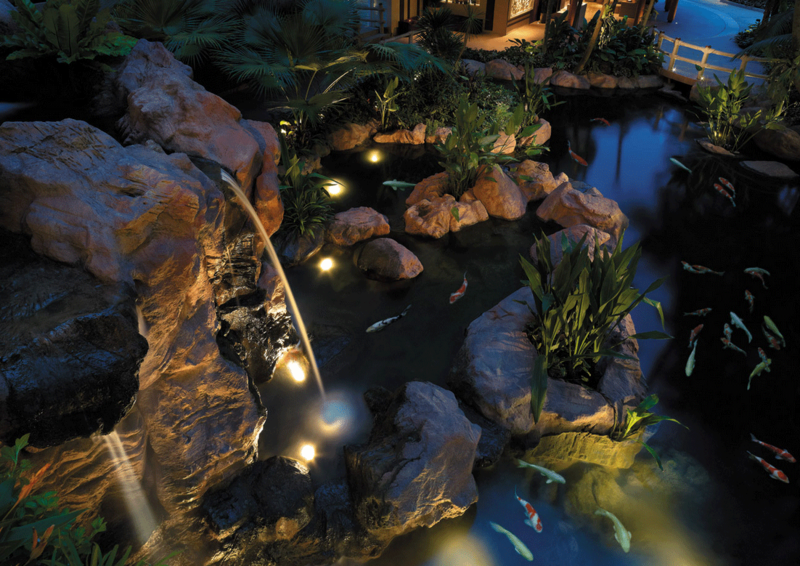 • Origin Grill showcases sustainable seafood carefully sourced from Southeast Asia and some of the world’s best beef. • The Line offers an extensive array of international cuisine in a buffet setting, with available a la carte options. • Shang Palaceserves traditional Cantonese cuisine with a modern artistic touch from multi-awarded Executive Chinese Chef Mok Kit Keung. • Waterfall Ristorante Italiano offers authentic and unique Southern Italian cuisine that combines the freshest seafood, handmade pastas and heirloom recipes. 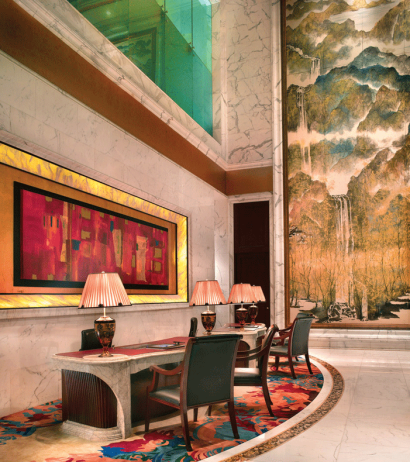 • The Lobby Lounge offers authentic heritage hawker fare in an indoor garden setting. 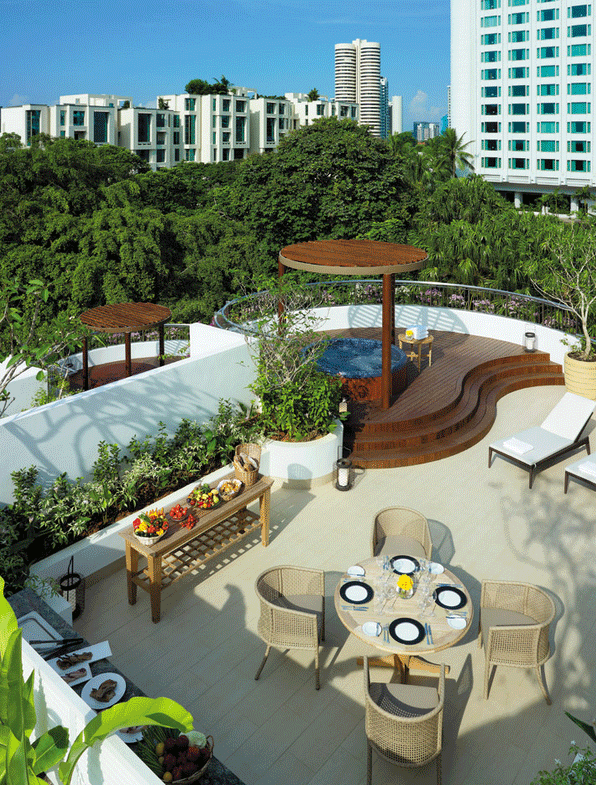 • The Rose Veranda features afternoon tea, with savouries and desserts, at the mezzanine. • Shophouse by Shangri-La provides freshly-baked breads, cakes, pastries, sandwiches, salads and beverages to grab-and-go. 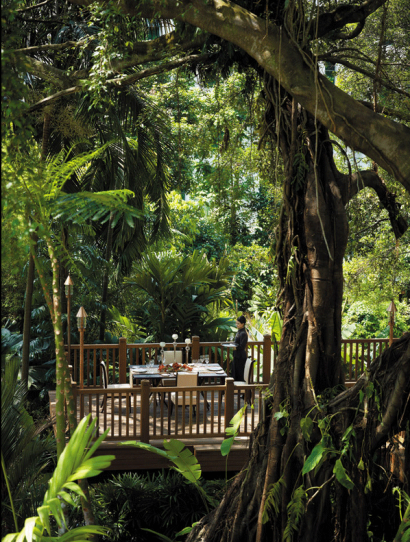 • Diner De Fleur promises a romantic dinner for 2, surrounded by a variety of orchids from the region. Looking to recharge? Head to the 24-hour gym for a workout any time you prefer or enjoy a cool swim surrounded by tropical greenery. 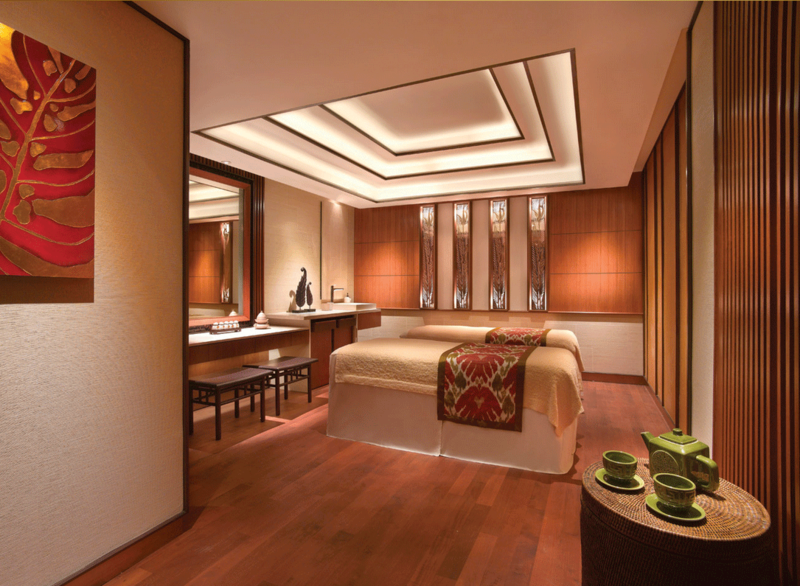 Afterwards, indulge in a relaxing massage at CHI, The Spa.CHI, The Spa at Shangri-La is a personal sanctuary where holistic treatments are based on timehonoured methods shared by many Asian cultures. The 24-hour gymnasium offers the latest in physical conditioning, suitable for both beginners and athletes. The hotel’s free-form swimming pool has a Jacuzzi, children’s fun pool, fountains and fibre optic lighting that comes to life at night in a magical array of colours.